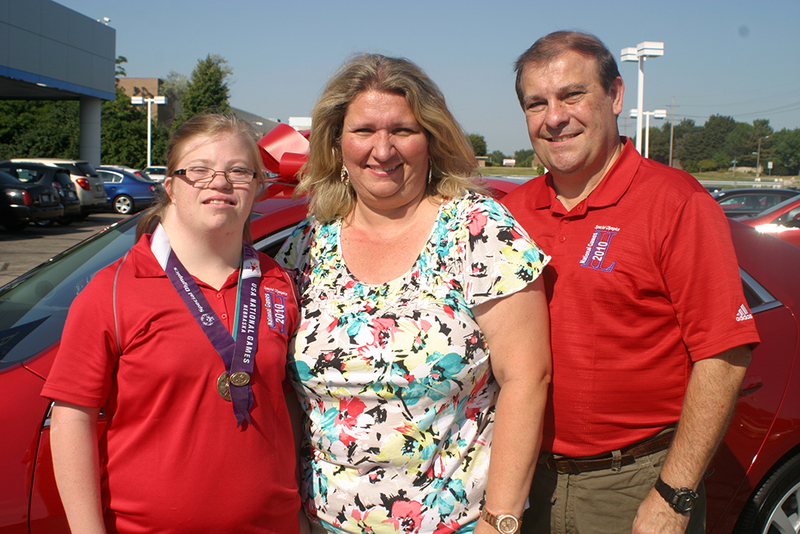 Special Olympics Illinois has received some very exciting news! 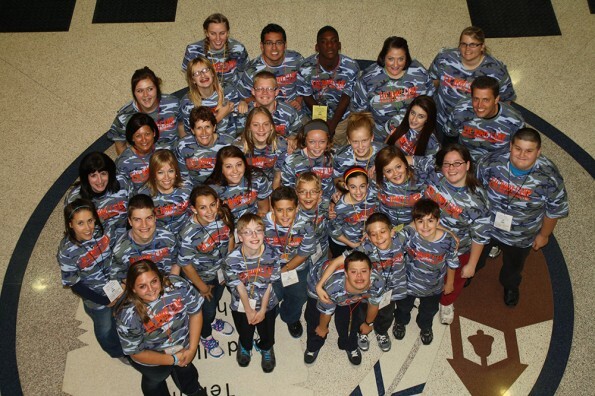 Project UNIFY and the Youth Activation Committee have received the Award of Excellence from the Illinois State Board of Education as part of its 2013-14 Those Who Excel Awards Program. Special Olympics softball coaches Rich and Jane Henley are issuing a challenge to all co-ed softball teams – give the girls a team of their own. We have the single greatest resource available to us as an organization and international movement and that is our parents and families. We are the people who know our athletes best. Am I certain of that? Indeed I am! I am the proud parent of a Special Olympics athlete and I know that as parents we are willing to invest our time when we can see the fabulous return on our investment. I have made the commitment to the program by serving on the SOILL Board of Directors and helping guide the program into the future. Think you’re strong? Put it to the test at 5th Annual Law Enforcement Torch Run Plane Pull at O’Hare International Airport on Saturday, Sept. 21. The Plane Pull is an extreme team sport to play tug-of-war with a UPS A300 aircraft weighing more than 180,000 pounds. Don’t worry – it can be done! Need proof? Check out this great video. Are you looking for a fun, team-building and truly once-in-a-lifetime experience? The Plane Pull is a great way for companies, gyms, crossfits, high schools, colleges, fraternal groups, clubs, and public safety departments to come together and build camaraderie while also pulling for Special Olympics Illinois athletes. Your team of up to 20 people must raise a minimum of $1,000 (that’s only $50 per person) to participate and pull the aircraft 12 feet as quickly as possible. It’s not too late to participate in this ultimate man versus machine challenge! For additional information, contact Matt Johnson at 1-800-394-0562. Windy City Rubber Ducky Derby: This year’s Grand Prize winner, Theresa Stoklosa, took home a 2013 Chevy Malibu LT, courtesy of the Chicagoland and Northwest Indiana Chevy Dealers, for having the first-place duck! Her daughter Ela Stoklosa, is a Special Olympics athlete and sold more than 1,000 ducks this year and was our top seller! Competition Task Force representatives to present recommendations at upcoming Area Coaches Meetings. Included is the introduction of the 2014 Skating Championships to next year’s competition line-up. We’ve had such a positive response to our Story Sharing contest that we’ve decided to extend the deadline. You now have until midnight, Oct. 4, to tell us about a “Special Olympics moment” that’s inspired, excited or transformed your life—or the life of someone you know. 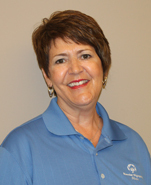 Special Olympics changed Susie Doyens’ life in big ways. She’s gone from very shy and uncertain to an outgoing public speaker who’s surprising everyone who meets her. Most recently, Susie’s story can be found in a new book. Susie’s story was highlighted by Special Olympics Illinois in a masterfully done video called “Words.” In the video, Susie’s family and friends talk about how the extremely shy athlete has overcome her shyness and now serves as an ambassador for Special Olympics, sharing her story and encouraging others to become a part of this amazing movement. 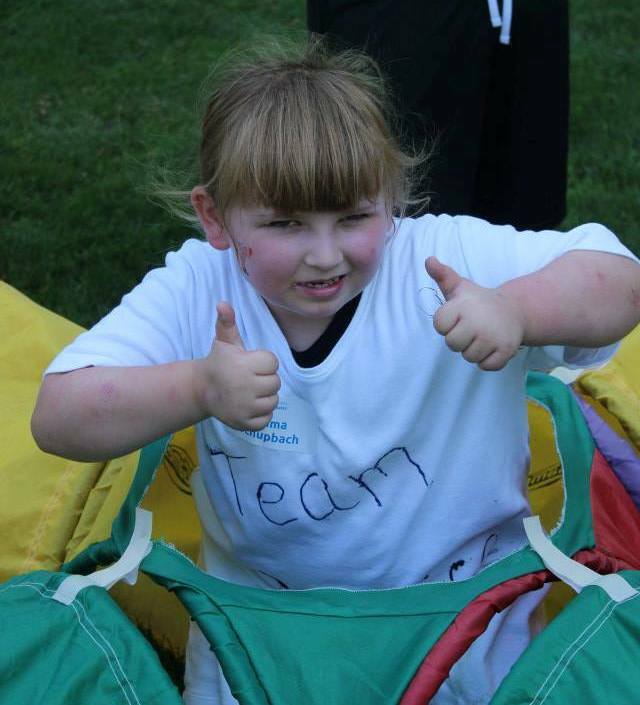 They credit Susie’s involvement in Special Olympics and her successes through sport and friendships. In addition to this video, Martin Rohahl and his crew created a shorter 60-second PSA called “Speechless” featuring Susie in her favorite sport of golf. This short commercial went viral and was picked up by Coke and Subaru and Susie was featured on The Golf Channel and Golf Digest. Her life certainly has changed, but Susie hasn’t. 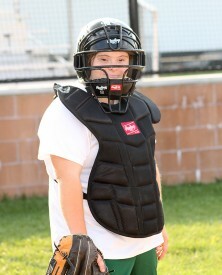 A former Special Olympics Illinois athlete, Susie and her family now reside in Florida where she continues to be very active in many sports. 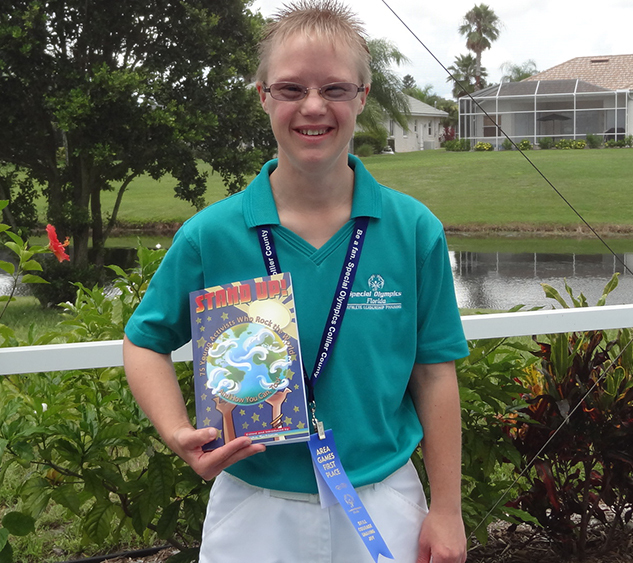 On Aug. 3, Susie and her Unified Partner, Tom Reasoner, competed at the Regional Golf Qualifier in Naples. They brought home first-place awards and will compete at the State Golf Tournament in Kissimmee in September. While Susie is not training or on the golf course, she is meeting with PGA professionals and other VIPs interested in her and her story. Most recently, Susie has been autographing books in which she is featured. “Stand Up! : 75 Young Activists Who Rock the World, and How You Can, Too!” is a call to action and collection of stories by 75 of the world’s most dynamic young activists and includes other Special Olympics leaders: Samantha Huffman, a Unified Partner and a former member of the National Youth Activation Committee, from Indiana; Danielle Liebl and Kaitlyn Smith, Youth leaders, from Minnesota and Colorado; and Frank Stephens, a Sargent Shriver Global Messenger and athlete from Virginia. The book also features a cover quote from Special Olympics CEO Tim Shriver. Stand Up! is currently available for pre-order on Amazon and Barnes & Noble, and will be available wherever books are sold, beginning Sept. 17. Watch for Susie on the book tour that will be coming soon! Needless to say, Susie is feeling like a rock star and very excited to share her books with all her friends! We are proud of you, Susie! 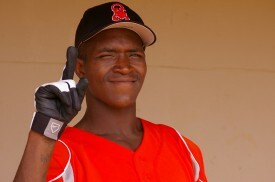 Two Illinois softball teams brought home medals from the 2013 Special Olympics North America Softball Invitational in New Jersey. The tournament brought together 23 teams from across the United States to compete Aug. 23-25. A Loyola Park Scorpion Kings player displays confidence. 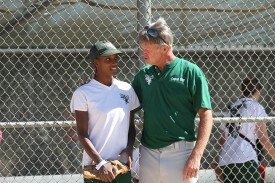 The tournament showcased teams from 14 states and included competition in both traditional and Unified softball. Presented by Moose International, the event was held in Mercer County, New Jersey, where the 2014 Special Olympics USA Games will be held June 14-21, 2014. Illinois was represented by teams from Chicago and Pekin. Chicago’s Loyola Park Scorpions earned bronze medals in Division 1 of the traditional competition and Pekin’s Tri County Independents earned gold medals in Division 1 of Unified competition. The Loyola Park Scorpion Kings had a total of 15 athletes and 4 coaches. The Tri-County Independents team consisted of 9 athletes, 7 Unified partners and 4 coaches. View photos of Illinois’ teams at the tournament. In case you missed the final round games that were streamed, no worries! All the streamed games are online and you can even download the videos! The videos include game commentary, guest color commentators like Olympic softball gold medalist Amanda Freed, on- screen scores and more. View streamed videos from the tournament. Special Olympics Illinois has accepted a slot for a Unified soccer team to compete at the 2014 Special Olympics USA Games in Princeton, N.J. June 14-21, 2014. The addition brings Illinois’ delegation to 60 athletes, 15 coaches and 3 staff members. Each of the 18 Areas have received their athlete slots. All approved & signed golf applications need to be submitted to Carolyn Klocek by Sept. 25, 2013. Athletes will have the opportunity to try out for the Volleyball Team and the Unified Soccer Team. Volleyball applications are available through your Area Director. Athlete volleyball applications need to be submitted to your local Area Director for approval and signature no later than Sept. 27, 2013. Unified soccer applications are available through Jen Marcello. Athlete and Unified Partner soccer applications need to be submitted to Jen Marcello for approval and signature no later than Sept. 27, 2013. Read More about USA Games delegation. 2014 Hotel Blocks Open for Families! Toys R Us announced that 2012 All-Around gymnastics Olympic gold medal winner Gabby Douglas is lending her support by being on the cover of the 2013 Toy Guide for Differently-Abled Kids,® along with Special Olympics Young Athletes Isabella Caesar and Samuel Lopez. The Toys R Us Differently-Abled Kids Guide is available online. Read Toys R Us press release. Social Security Adminstration employees were informed in August through Docket No. SSA-2012-0066 that a Final Ruling in changing the terminology “Mental Retardation” to “Intellectual Disability” has come through. Read the ruling on the Government Printing Office website. Read More about Special Olympics USA Games delegation. Always start with the basics and make sure you don’t overcomplicate the session with too many things the athlete has never done before. You don’t want them struggling or getting down on themselves or thinking that your training is too hard or that they are not good enough to be doing what you are trying to teach them. Make sure to that there is a progression that keeps them motivated and challenged. This takes patience and enthusiasm on your part as the coach. Try not to teach too many new skills or exercises in a single session. Rather, add one to an existing set of drills or exercises that your team has already practiced. Show them the right technique or form, and then show them a common error people make before showing them the correct technique one more time. This is far better way of coaching than simply using language. With every exercise, movement or skill you teach, you should have tried it out first and mastered the form. Otherwise, how can you expect your athlete to be able to perform it the way you would like them to? When introducing a new movement, you will almost never see your athlete execute it perfectly, so always be encouraging and accept their form if they are close to what you would like to see. Try not over-coach. Let them learn and figure the movement out themselves. If they are close to getting it right, a few encouragements here and there to cue something will most likely help them make small improvements over time. If you are a strength coach, it is vital be careful not to overlook things that might result in injury. This can be applied to any sport you coach. Start your sessions off with a smile and greet your athlete by name or nickname, whatever they feel most comfortable with. Make sure, when communicating in a large group, that you use people’s names. It really makes them feel important and will motivate them to do better in your sessions. If you’re like most people, you will forget someone’s name two seconds after you meet them. Whenever someone tells you their name, immediately associate it with someone that you know to be famous. Another trick is once they introduce themselves to you, repeat their name back to them by saying for example “Hey Roger. My name’s Michael. It’s nice to meet you!” Remembering names is very important because the people you interact with are important and so is your business. It pays to remember! Your athletes do not come to you for a textbook lesson, otherwise they would have bought one and read it before bed to help them fall asleep! Learn to speak in their language by communicating in a simple, easy-to-understand way. At the same time, be careful not to insult your athlete’s intelligence either. Speaking to an 18-year-old athlete like he is 11 years old can de-motivate him very quickly, so getting to know each athlete is very important. A great way to have a feel for them is to spend a few minutes talking with them before their first practice to find out a little bit more about what they are like. Men thrive on competition as they find competing against each other fun and motivating. Be careful when employing this strategy with a group of females because girls prefer to compete against themselves. You don’t want the workout to go on for too long with overly complicated movements or skills that leave your athletes feeling mentally drained on top of being physically worn out. Everyone has enough overwhelming them at work and in their personal lives, so don’t add to the stress of what happens outside the gym or sports field. Be the best part of your athlete’s day. Make every session so good that the next time around they are dying to get to your workout or practice. If you show signs of being tired, unhappy and not wanting to be there, your team and practice will suffer. Put a smile on your dial, lighten up a little and show some emotion and feeling when communicating with your team. Remember, you need to be the brightest part of their day. You are training them, so be present in the moment and give it everything you’ve got. If you are training someone and they are showing signs that they may not want to be there, then speak to them about it straight away. It may be something you are doing. It may be your training that they are unhappy with. It may be that they are struggling with some personal issues. The point is that it is important that you try to help them without being too intrusive. Be someone they can talk to if they need. Mental strength and commitment is just as important as physical strength and commitment. The sessions should focus on both. The “going green” trend has taken the world by storm and rightly so. Special Olympics Illinois is extending its efforts to be more environmentally conscious and tech savvy. Through the new and improved website, SOILL has begun to offer online volunteer registration for select events across the state. Ultimately, the organization will move to online volunteer registration for every sport competition offered and some fundraising events too. From the website’s Volunteer page, individuals interested in helping are able to view the calendar of events, select the event at which they would like to volunteer and complete the process online through the website. SOILL’s online volunteer registration is powered by CERVIS, Community Event and Volunteer Information System. The system not only allows volunteers to select when and where they’d like to volunteer, but also allows the organization to confirm volunteer assignments via email, send email updates in case of changes or cancellations, and send Thank You messages after events have occurred. In addition, volunteer coordinators will now be able to check in volunteers at events much quicker using the online check-in module. The first state competition event to use the CERVIS online volunteer registration process is the Outdoor Sports Festival Sept. 14-15 in Decatur. Volunteer registration has gone smoothly in advance of the event and we hope to report back in the future that the same can be said for during the event. In the past, SOILL has sent out thousands of volunteer forms via post mail. In addition to being a laborious process, it was also not cost- nor time-effective. We hope to better keep up with our past volunteers as email addresses do not change near as much as post addresses tend to. We also hope to usher in a new generation of volunteers with this enhanced technological measure. The change-over from paper to online will not happen overnight. It will be a gradual process and we plan to continue to educate our valued returning volunteers to ensure those that have become part of our movement stay with us. We want you to participate and have fun! 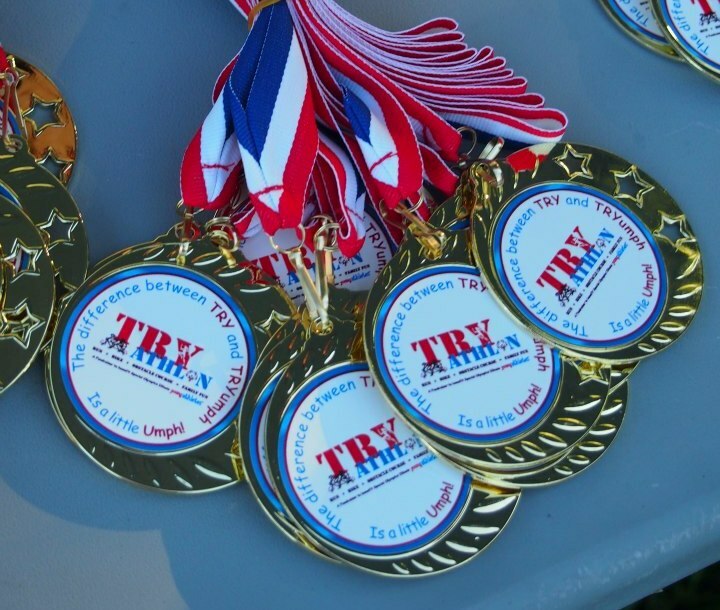 Sunday, Sept. 29, Young Athletes is hosting its third annual TRYathlon at DuPage County Forest Preserve-Danada (3S580 Naperville Rd., Wheaton, IL 60189). The TRYathlon consists of a 1-mile run, 3.5-bike and an obstacle course containing 12 stations such as tunnels, inflatable slides and hurdles. Participants can register as an individual or as a family. The registration fee is $35 for an individual and $110 for a family of four. Participants will receive a T-shirt, medal and goodie bag on the day of the event. TRYathletes will be awarded for top finishers and fundraisers. This amazing event will help us raise money for the Special Olympics Illinois Young Athletes Program and the 11,000 Young Athletes statewide. Everyone is invited, tell all your friends and family – we want you to get involved! Register and start raising money for a great cause now! Shelby Dorrell has been a Young Athlete for the past 3 years. She participates with SOAR Young Athletes in Bloomington. Shelby has an infectious positive attitude you immediately smile for when you see her. Her favorite activity in the Program is running! 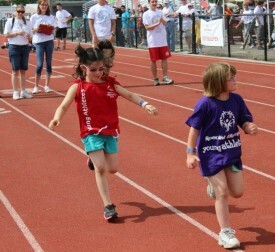 Shelby Dorrell, left, runs at the Summer Games. Shelby took the next step in her Special Olympics career by participating in Summer Games Athletics Exhibition 50-meter run and tennis ball throw. The lessons learned in the Young Athletes Program helped prepare her to execute the skills for these events. 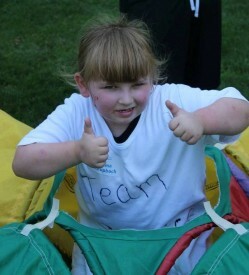 Not only have Shelby’s skills continued to develop, but she has also made many new friends with other athletes. When Shelby is not practicing with Young Athletes, she can be found drawing. She wants to be an artist when she grows up. Young Athletes across the state were hard at work during the summer learning their fundamental skills for running, kicking, throwing, catching, jumping and balancing. NISRA (Northern Illinois Special Recreation Association) hosted their Summer Camp Young Athletes Culminating Event on July 18 at Huntley Park District. Sixteen Young Athletes enthusiastically displayed their gross motor skills while having fun and staying cool. Also, 22 Young Athletes from Ottawa Eastern Seals Program showed off their pride and skills at their Culminating Event on Aug. 14. Fun and enjoyment was had by all. Congratulations to all the programs who participated this summer! All site coordinators, parents/guardians, and educators are encouraged to fill out this brief program evaluation. As first hand observers to the received benefits of your athlete’s engagement, there’s no one more qualified to tell us about the impact of participation. In appreciation for your time, one random participant will receive a $25 gift card to Target and another will receive a $20 gift card to Starbucks. Your feedback is truly invaluable. Not only does it help Special Olympics Illinois to provide the best possible program for more than 13,000 Young Athletes, but it also helps us demonstrate the value of our program to other families, funders and administrators. The survey will remain open until Sept. 20, 2013. 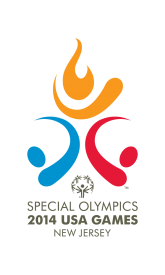 FACT: Special Olympics Illinois offers exhibitions at select State Events for Young Athletes ages 6 and 7 with a valid medial application. To get more information, contact Special Olympics Illinois Young Athletes staff. Special Olympics Illinois Areas 2, 3, 5, 13, 16 & 18 will be joining forces to host the Pumpkin Pedal Bike Tour fundraiser on Oct. 6. There will be trail rides of 10, 20 and 28 miles and road rides of 40 and 65 miles. All rides will begin and end at Leroy Oakes Forest Preserve on Dean Street just west of Randall Road in St. Charles. Entry forms are due Sept. 27 to receive your Pumpkin Pedal T-shirt on the day of the ride. Registration will begin at 7:30 a.m. and riders may start anytime from 7:45-10 a.m. Bike helmets are required. This event will take place rain or shine. A post ride meal will be served from 10 a.m.-3 p.m.
For more information, call 224-234-8635, or email Sandy Hutchins or Dan Conley. Download a registration form here. Enjoy local craft beers paired with authentic Irish food at the Brew & Chew beer pairing dinner Nov. 3 to benefit SOILL Areas 2 & 5. Shannon’s Irish Pub in Glen Ellyn will host the event which begins at 6:30 p.m. Cost to attend is $50 per person. Download a flyer and registration form. For more information, contact Katie Grisham at 630-545-3402. It’s not too late to enjoy a Chicago baseball game! Tickets are still available to watch the Chicago Cubs play the Pittsburgh Pirates on Tuesday, Sept. 24. Beyond the Ivy has generously invited Special Olympics Illinois supporters to enjoy the game from their rooftop at 1010 W. Waveland Ave., Chicago. Game time is 7:05 p.m. and guests will enjoy the game from the rooftop and also from the comfort of the enclosed 2nd floor lounge. This 5th annual rooftop event will raise funds for Special Olympics Illinois. Tickets are $100 and include unlimited beer, wine, soft drinks and food. Group prices are also available. The event will include a small silent auction featuring Cubs memorabilia and entertainment gift cards. Purchase tickets online, or for more information, contact Kathy McLaughlin at 773-278-2178. The 7th annual NELARUSKY concert was held on July 31 to raise funds for Special Olympics Illinois. The concert sold out in less than four minutes and more than 1,300 guests enjoyed the event. NELARUSKY was held at Metro in Chicago and was the official Lollapalooza Pre-Show. 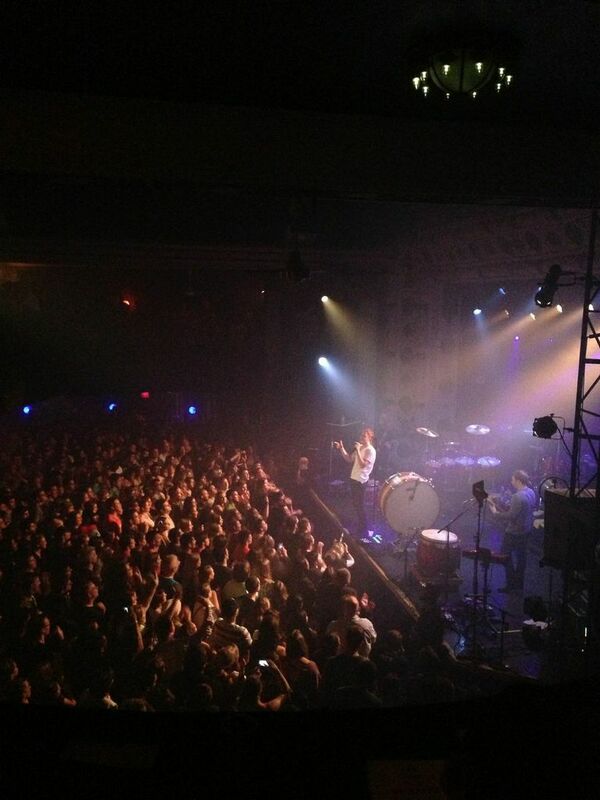 Imagine Dragons headlined the concert and Icona Pop, Brick + Mortar, Kellen & Me also performed. 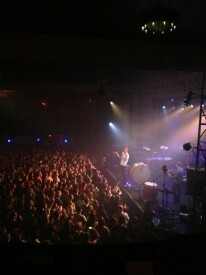 Imagine Dragons headlines the 7th Annual NELARUSKY concert. Event organizer Lauren McClusky worked with a committee for months in advance of the fundraiser. Strong ticket sales, generous sponsors, souvenir sales and a successful silent auction contributed to the largest revenue NELARUSKY has earned – $50,000. Lauren presented a check onstage to Special Olympics Illinois Global Messengers Christine Maxwell and Barbara Kozdron and Special Olympics Illinois CEO Dave Breen. Title sponsors were Audiotree and Scion. Additional sponsors were Next Door State Farm, Sterling Partners, Q87.7 Inner Workings, Jira Productions Laurus Strategies, Premier Foundation, The Windish Agency, KIND, Ocean Tomo, Cozzini Group, Artists & Brands, Propaganda, JMA Promotions, UBER, Folio, DO312, Prasino, Nellcote, Hub 51, Vitaminwater, Keith Jaffee, David Foster, Steve Tumen, Lance & Susan Rodgers, the Louie and Betty Phillips Foundation, Sid & Carol Verdoorn, Andrew & Marcia Rice, Mike Allen, Windup Records, Jeff McClusky, Bill Silva and Mike DePippa. Looking for a special gift? Something to share with a friend or family member? 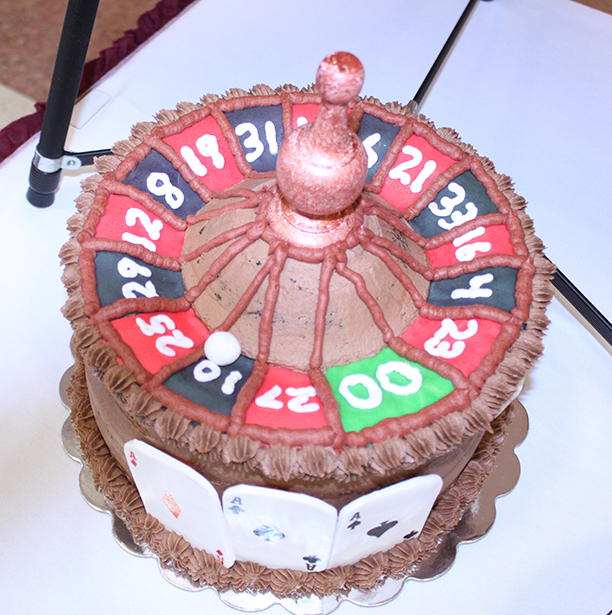 Or maybe a fun way to enjoy Bosses Day? Please order something special from the Coffee Cake Connection. Twenty percent of every purchase made between Sept. 30 – Oct. 16 will be donated to Special Olympics Illinois. Every gourmet coffee cake ordered from The Coffee Cake Connection will be delivered fresh and tasty direct from their ovens. Order the triple-berry, double chocolate or cinnamon swirl. The Coffee Cake Connection is currently offering an Apple Caramel Cinnamon cake bursting with the crisp tart taste of Granny Smith apples. Can’t decide? Request a variety pack. Cakes come in a standard size and also a smaller cake-a-lette size. They also sell gluten-free products. Take advantage of this opportunity to enjoy Bosses Day on Oct. 16. Or enjoy this opportunity because who doesn’t love a delicious, sweet coffee cake? The Windy City Smokeout invaded the River North neighborhood of Chicago July 12-14 and music lovers and foodies alike had a great time. The festival was held outdoors and guests enjoyed great country music performed by Pat Green, David Nail, Jerrod Niemann and others. And the weather couldn’t have been sunnier. BUB CITY hosted this event which offered BBQ from some of the best restaurants in town. BUB CITY reached out to Special Olympics Illinois and asked if Special Olympics volunteers would be interested in volunteering at the Windy City Smokeout. More than 60 supporters volunteered on behalf of Special Olympics throughout the three-day festival. BUB CITY shared a donation as well as all tips shared by guests with Special Olympics and also provided Special Olympics Illinois with Lettuce Entertain You gift cards. The donation was a very generous $9,966! Go Over the Edge for Special Olympics! Whether you’re an experienced climber, thrill seeker, simply looking to conquer your fears or want to help a great cause, join us on Oct. 30 at the Hotel Blackhawk in downtown Davenport and go Over the Edge for Special Olympics! This fundraiser is a joint event between Special Olympics Illinois and Special Olympics Iowa. Be one of the few to rappel off the 131 foot Hotel Blackhawk in this exclusive event! Participants must raise a minimum of $750 to rappel. Ready to take the next step? Click here to register online for this event and create your personalized fundraising page. For additional information, contact Cathy Betar. All things trivial will be on participants’ minds at Trivia Knight Nov. 9 at the Columbus Club of Oswego. Presented by Oswego Police Department, Oswego Knights of Columbus and Special Olympics Illinois. Doors open at 6 p.m., with a silent auction at 6:30 p.m. Trivia will include 10 rounds of 10 questions in different categories like sports, television and movies. Teams will consist of no more then 8 people; entry fee is $200 for 8-person team. The team with the highest score will be awarded a prize. Prizes will also be awarded for the best costumes and most creative table decorations. Pizza will be provided by Pizza Cucina for participants. SOILL Eastern Prairie/Area 8 will hold its 14th Annual Golf Outing Monday, Sept. 30, at Lincolnshire Fields Country Club in Champaign. Competition will consist of 18 holes, a Hole In One contest, male & female shortest putt & longest drive, as well as prizes for the top male, female and mixed teams. Lunch and golfers gift will be provided and an after-party consisting of a meet and greet with local athletes and hors d’oeuvres. There will also be a variety of raffle prizes, silent auction items and a 50/50 contest. Registration begins at 11 a.m., with tee-off at noon. Cost is $125 per player or $500 per team. For more information on how to participate or to sponsor this event, contact Jackie Walk at 217-355-1750. The 11th Annual SOILL Starved Rock/Area 16 Auction was held Aug. 1 in Utica with 237 people in attendance. More than $42,000 was raised at the event through the sale of silent and live items and certificates which were donated by local businesses and friends of Special Olympics. Proceeds from this event will be used to help cover direct program costs for Area 16 trainings and competitions. Miller Group Charitable Trust and The Wolf 96.5 were Presenting Sponsors. The 5th Annual Law Enforcement Torch Run Plane Pull at O’Hare International Airport will be held on Saturday, Sept. 21. 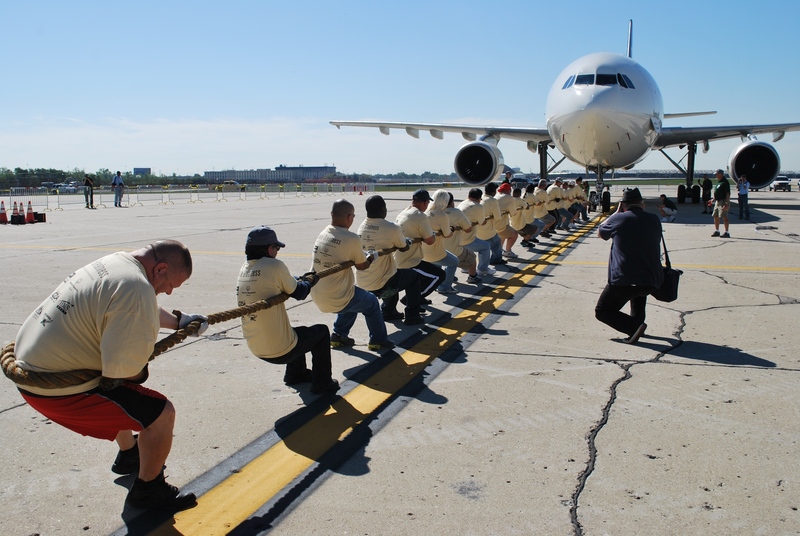 The Plane Pull is an extreme team sport to play tug-of-war with a UPS A300 aircraft weighing more than 180,000 pounds. Don’t worry – it can be done! Need proof? Check out this great video. Are you looking for a fun, team-building and truly once-in-a-lifetime experience? The Plane Pull is a great way for companies, gyms, crossfits, high schools, colleges, fraternal groups, clubs, and public safety departments to come together and build camaraderie while also pulling for Special Olympics Illinois athletes. Your team of up to 20 people must raise a minimum of $1,000 (that’s only $50 per person) to participate and pull the aircraft 12 feet as quickly as possible. It’s not too late to participate in this ultimate man versus machine challenge! For additional information, contact Matt Johnson at 1-800-394-0562. 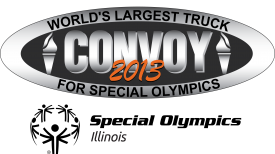 Truckers from across the U.S. and Canada are set to participate in the World’s Largest Truck Convoy for Special Olympics. The 2013 Illinois Convoy will be held on Saturday, Sept. 28. This is an unforgettable celebration of the trucking industry and law enforcement joining forces for Special Olympics. The Illinois Convoy will begin at the First Midwest Bank Amphitheatre in Tinley Park. The convoy will be escorted by law enforcement for approximately 22 miles along I-80 and I-57 before returning to the starting location for some great music, food and fun! If you know of any companies or truckers that would like to get involved, please let us know. For more information, view this brochure or contact Matt Johnson at 1-800-394-0562. Law enforcement officers throughout the state will give a whole new meaning to “protect and serve” during the upcoming Tip-A-Cop fundraiser at Red Robin restaurants. Tip-A-Cop is an official Law Enforcement Torch Run fundraising event where officers volunteer their time as “celebrity waiters” to collect tips for Special Olympics Illinois. The much anticipated Red Robin Tip-A-Cop fundraiser will be held on Saturday, Oct.12. 2013 marks the sixth year Illinois has partnered with Red Robin for this event. Be sure to stop by your local Red Robin on Oct. 12 to enjoy some great food and support the dedicated officers of the Law Enforcement Torch Run! Click here to find the Red Robin nearest you. 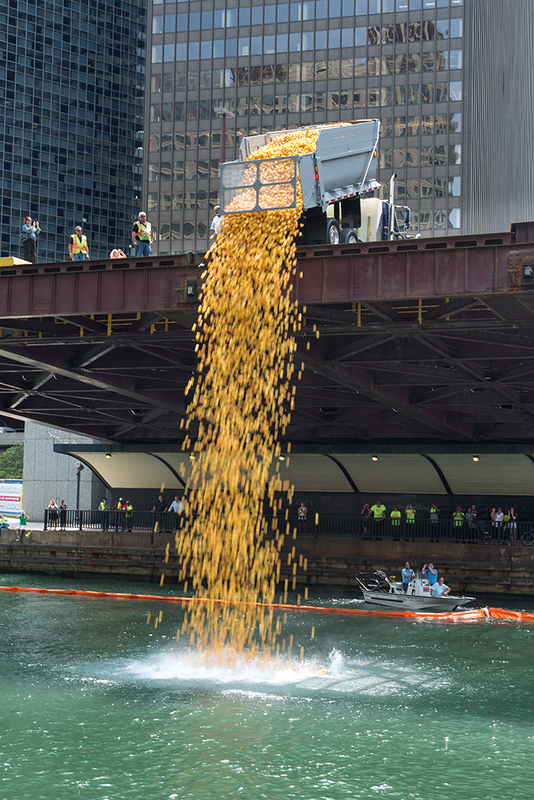 2013 was another record-breaking year for the Windy City Rubber Ducky Derby. 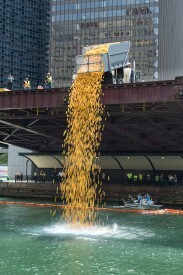 On Aug. 8, 50,000 ducks were dropped into the Chicago River and raced to the finish line at Michigan Avenue. The weather couldn’t have been more perfect and thousands of attendees were able to visit our Family Festival, meet some of our Special Olympics athletes and watch the race from the sidelines along the Chicago River. This year’s Grand Prize winner, Theresa Stoklosa, took home a 2013 Chevy Malibu LT, courtesy of the Chicagoland and Northwest Indiana Chevy Dealers, for having the first-place duck! Her daughter Ela Stoklosa, is a Special Olympics athlete and sold more than 1,000 ducks this year and was our top seller! Durham School Services was the top fundraising team. 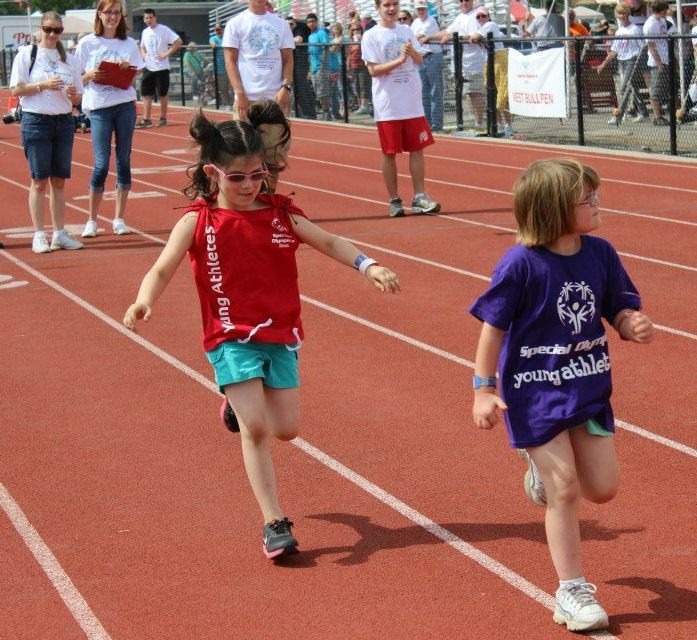 Read More about Durham’s commitment to Special Olympics. Mike Adamle, sportscaster for Chicago’s NBC5 news was on hand to assist Special Olympics Illinois CEO Dave Breen in calling the race as the ducks entered the water. More than 200 volunteers from local companies such as Camping World, TD Ameritrade and Winston & Strawn were on hand to make sure the day’s events went smoothly. A team of volunteers from Sprint has handled our traveling duck adoption sales for years and could be found blocks away on race day promoting the race to those not in the direct area. Coca-Cola, one of our most dedicated volunteer groups, tackled the job of getting those ducks back out of the water – not an easy task at all! Support of this event helped raise over $300,000 to support Special Olympics athletes and programs, and we’re grateful to our sponsors and Duck Sales Teams, who played a major role in our success. Be a Monthly Partner, Earn a Matching Donation in Sept.
Great news! During the month of September, a generous donor will contribute $100 for each new person who signs up to become a monthly contributor to Special Olympics, until we reach 150 new monthly partners. Your steady support will help ensure we’re always able to provide training and competition opportunities to our athletes. Thanks to this matching donation, your generosity will stretch even further! Please help us take advantage of this incredible opportunity by becoming a monthly supporter today. 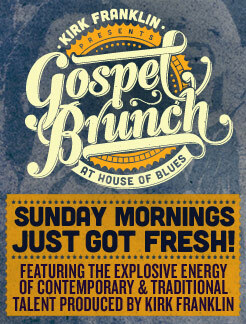 Seatings every Sunday at 10 a.m. & 12:30 p.m. For tickets, call 312-923-2018 or visit House of Blues website. For groups of 10 or more, contact Andi Ricciardi at 312-923-2015. Where Music, Food and Art Intersect! 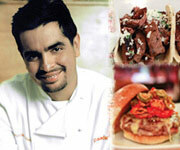 Chef Aaron Sanchez has created a new menu that is bold and classy, yet contemporary. Stop by Crossroads at House of Blues and feed your soul. Open daily for lunch and dinner! * Minimum spend of $20 for lunch discount and minimum spend of $30 for dinner discount. Offer expires Nov. 30, 2013.